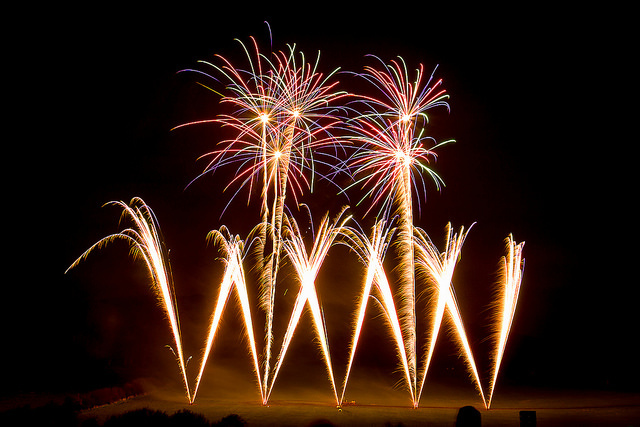 Merlin is committed to presenting spectacular and safe firework displays.For this reason all of our displays are fired electronically, not just our more complex projects but every single one of our displays, from the smallest private party to the largest International Celebration. 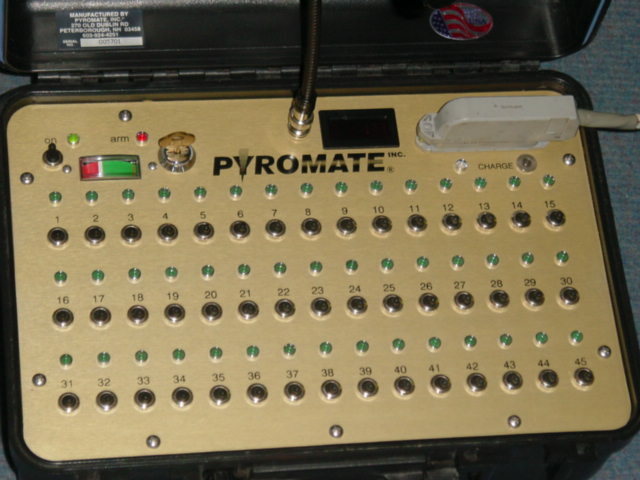 Electronic systems such as the Pyromate P45 Control Panel (shown right) give our technicians precise fingertip control of the fireworks within a display resulting in a safe, continuous and fluent programme. 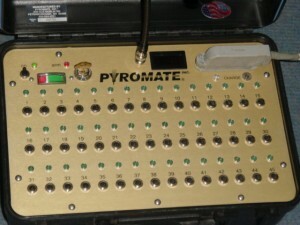 Electronic control allows Merlin to fire spectacular sequences by igniting many fireworks simultaneously over a large area with many firing positions. 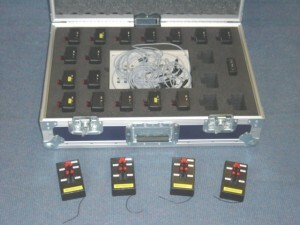 With our team of technicians we can operate several independent displays at any one time and we have therefore invested substantially in the control systems to meet our goals. Our computer controlled system, “Smartfire”, is designed for synchronising fireworks with music and with a firing rate of up to 100 cues per second the Sky really is the limit with Merlin. 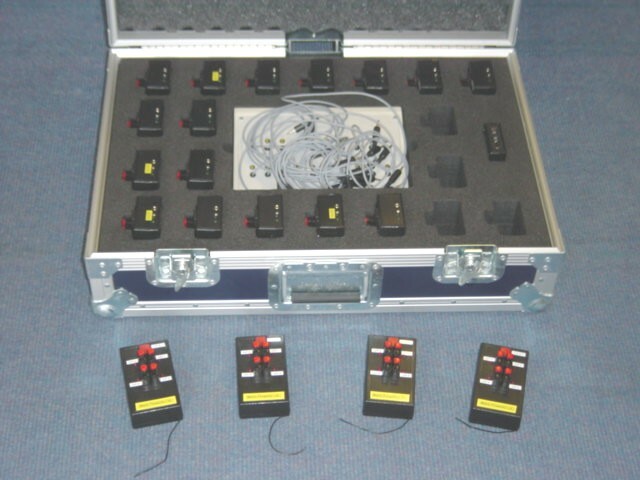 For more specialised tasks our wireless remote control systems are ideal for use on stage or where cabling becomes intrusive. Merlin will continue to employ innovative and new technology to deliver ever more spectacular visual sequences for our clients.